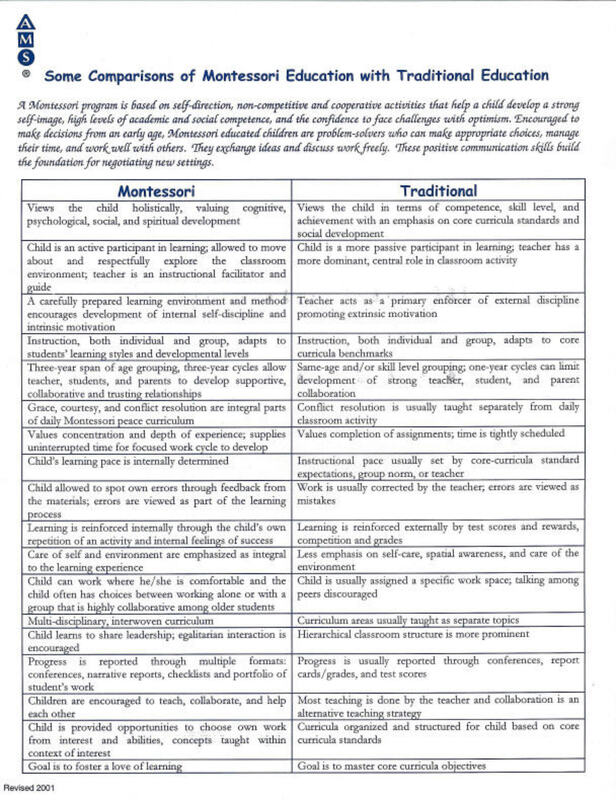 Asheville Montessori School offers a true academic environment for children ages 3 through Kindergarten. What are the differences between AMS and the traditional child care center? AMS follows a school year calendar. In accord to Dr. Montessori’s studies, children are not separated by ages, but the classroom is balanced with 3’s, 4’s, & Kindergarteners. She believed that children can learn best from their peers, and older children learn leadership skills early. Parents become an important part of their child’s education through opportunities to volunteer and two parent-teacher conferences during the year. Payment is based on an annual tuition, not on a weekly “baby sitting” charge.